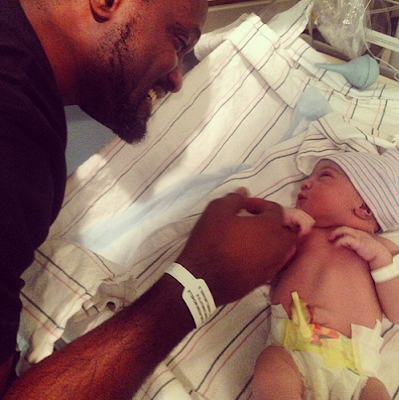 Jude Okoye the elder brother to Paul & Peter Okoye of P-Square and his beautiful wife Ifeoma Umeokeke welcomed their first child, a daughter on Saturday, November 29 at Northside Hospital Atlanta, Georgia in the U.S. The happy father shared above photo on his page. Recall that Jude & Ify got married in July. The baby was christened Princess Emma Adanna Okoye. Congratulations to them.